The Supreme Court has notified new norms for listing of cases, as informed by a ciruclar issued by the SC Registrar today. Fresh matters verified on Friday in the post lunch session and also on Saturday, Monday and Tuesday(till pre-lunch session, i.e till 1 PM) will be listed on next Friday. Fresh matters verified on Tuesday in the post lunch session and also on Wednesday, Thursday and Friday(till pre-lunch session, i.e till 1 PM) will be listed on next Monday. Final cause list for Monday will be published and uploaded in website on Friday previous week and that of Friday in Tuesday same week. The new pattern will be effective from February 4. The circular also mentions that matters verified from January 28 till January 31 and on February 1(till pre lunch session) will be listed on February 4. 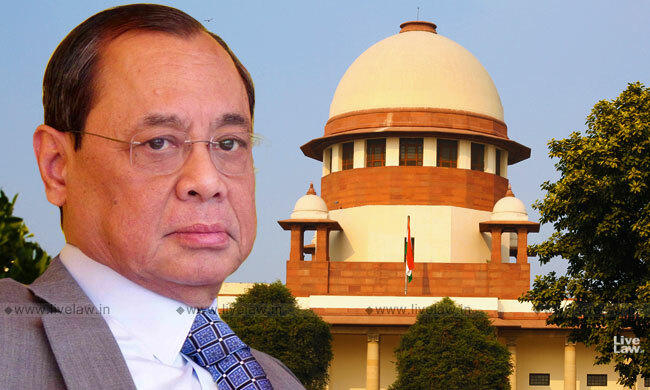 Last week, CJI Gogoi had expressed that registry was in the process of finalising new listing norms, which will ensure that fresh cases will be listed within four days of filing, thereby making the practise of oral mentioning for early listing wholly unnecessary. "The attempt is to do away with the practice of oral mentioning altogether...it takes up too much of the court's time...new guidelines are being put into place which will ensure that every urgent matter comes up on the docket within four days of its filing, at the most five days...", the CJI had said last Wednesday.